Elwin Ransom is a philologist taking a walking tour throughout England. As he looks for a place to spend the night, he finds himself forced into a scientific experiment. This experiment leaves him en route to Malacandra, in a space ship with two other men: the evil Dr. Weston and his companion, Devine. After landing, Ransom escapes his captors, but is faced with the prospect of survival on a foreign planet. He encounters new creatures (the hrossa and soren), explores foreign landscapes, and discovers new truths about his own planet, all the while searching for a way home. Out of the Silent Planet is a fantastic portal into a new world. Drawing from the rich mythology of Greek, Roman, and Middle Ages mythology, this book is truly one about space exploration. Space is portrayed as a rich landscape teeming with life, almost as if “one were swimming through water, rather than suspended in a void.” And Lewis’ planets are full of wonder and strange discoveries. There’s definitely nothing sterile about space exploration in Out of the Silent Planet. The plot is engaging and gripping, and Lewis’ languages are as interesting and foreign as Tolkien’s. The book is unique in that it really captures the feel of being immersed in language learning and gradually coming to know and love a culture as your own. Lewis descriptions of Malacandra include stunning landscapes of pink forests, strange new beings, and deep canyons teeming with life. This trilogy is one of the best pictures of C.S. Lewis’ belief of “remythologization” (the other being Till We Have Faces). Lewis believed that stories are a fantastic way to convey truths about his faith. But Out of the Silent Planet is exceptional because it’s first and foremost a great story. David Downing writes of the Space Trilogy, “it’s a story about the reality of myth, the search for Joy, and the recovery of childhood” (Planets in Peril, David Downing, page 33). None of these are Christian, preachy, themes: they’re valuable to anyone who picks up the book. Myth and history intermingle in a great story, and the greater story of Christianity echoes underneath the entire trilogy. I walked away from Out of the Silent Planet stunned by the depth and beauty of God’s creation, and the power present in outer space. The landscape is foreign, fantastic, and yet strangely familiar. Lewis’ treatment of angels (eldila, oyarsa), God, Satan, and a cosmic fight is so light-handed that many reviewers at the book’s original publication didn’t even notice the parallels. Compare this to something like Piercing the Darkness, which is oppressive, annoying, and heavy-handed in its treatment of the same themes. Lewis’ is clear once you pick up Out of the Silent Planet and read a few pages. By respecting the reader and providing a good story first, Lewis leaves me walking away with more than a book that beats me over the head. The Space Trilogy has not been remembered so well as Lewis’ other works, and that’s a shame. 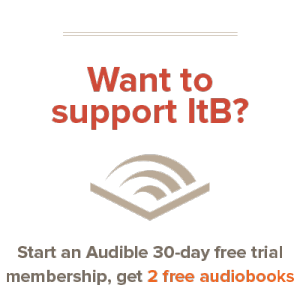 These stories capture the world around us with the perfect balance of myth, history, and fantasy, and wrap it all in an engaging and exciting story of space exploration. 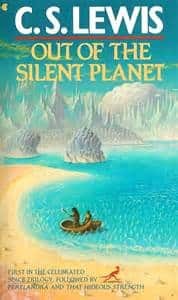 I highly recommend Out of the Silent Planet, along with its siblings, to all readers.